Cinemax Games announces Rytmik Ultimate. Rytmik Ultimate is a logic progression from Rytmik Retrobits (originally for Nintendo DSi). This new version (for iPad, DSi, and PC) has taken music creation to one level higher thanks to new features. It allows you to share your songs with other users through the Rytmik Cloud. Rytmik can serve as a music player of songs uploaded on Rytmik Cloud with it and on top of that, users may exchange their songs and cooperate on their composing. That’s not all! Every instrument is now a wavetable synthesizer. With the advanced effect module you have more power to shape sounds with the ADSR envelope, vibrato, portamento, noise shaper or digital delay. In addition to that the drawable waveform synth module allows a user to draw and modify their own wave and use it as a sample oscillator – with that you can use Rytmik Ultimate as a sonically unique chiptune synthesizer. KORG Gadget offers a collection of 15 different synthesizers and drum machines called “Gadgets”, which you can freely combine to produce powerful electronic music. Right from the beginning, KORG Gadget gives you 15 compact synthesizers and drum machines. Each Gadget possesses an irresistible presence and can function as the core of your electronic music productions. The parameters are carefully constructed to take you right to the sound that you want, and they’re ideal for producing all forms of electronic music. Even if you don’t play a musical instrument, no worries! 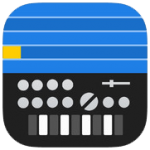 Each synth offers a keyboard featuring a Scale function that makes it impossible to play wrong notes, combined with a sequencer that supports the function, Just download KORG Gadget to your iPad, and start exploring 15 Gadgets. Which will be your favorite? For the most part, KORG Gadget uses the vertical orientation that makes the iPad easy to hold in one hand and is the most common style of interface on iOS devices. The screen of the iPad is divided vertically in two halves, allowing you to simultaneously control two types of content-“song creation” and “sound creation”. by placing the current Gadget on the bottom of the screen while always showing the sequencing environment up top.-This ensures that your creative production flow is not interrupted. That’s all you have to know. You’ll enjoy the simple and intuitive sequencer, and experience track-making in an environment that’s been perfectly optimized for mobile use, while retaining professional quality in everything from the effects to the mixer. If you run out of ideas while producing a song, try taking KORG Gadget somewhere that you find inspirational, like a cafe or your living room. Then create sounds or phrases with your favorite gadget and stock up on ideas. The data you create can be exported as audio data for a variety of uses. Even if you typically use a computer or sophisticated music production equipment, KORG Gadget is an ideal partner that will inspire you from a different perspective. KORG Gadget is also an ideal choice as a second DAW that’s easy to take with you along anywhere. Songs that you create using KORG Gadget can be shared on “GadgetCloud,” a music sharing site for KORG Gadget users worldwide. By exchanging songs between mobile musicians around the world, you can communicate in ways that bypass language barriers, and also improve your skill as a creative artist. This is a music production space that’s fun to use; you can submit your songs for selection as tracks recommended by KORG, enter various contents, and use the ranking system. You can also upload from KORG Gadget directly to any social networking service such as SoundCloud, Facebook, or Twitter, sending your tracks wherever you like. GadgetCloud is based on SoundCloud, the cloud service that’s supported by creative artists world-wide. You will need a SoundCloud account. By connecting an external MIDI keyboard via the Camera Connection Kit, you can play the 15 synthesizers in Gadget from a real keyboard. 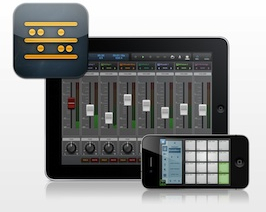 A wide range of iOS music technology is also supported, including AudioCopy, and WIST. There’s a roadmap for future updates that will add new gadgets and support audio tracks, further perfecting the system as a mobile music production studio. KORG Gadget will continue to evolve in support of serious mobile music-making. A quick workflow video using Beatmaker 2 on iPad. Learn to chop up samples and sequence them to create patterns. Loopseque is a groovebox for the iPad with a circular based step sequencer inspired by certain hardware devices like the Future-Retro UV Orb Limited Edition Step Sequencer and the genoQs octopus tabletop sequencer. 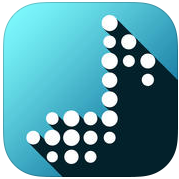 It is an incredibly simple app for creating music. 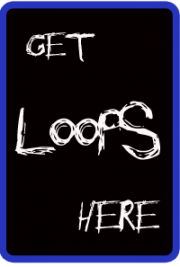 With Loopseque making music is like playing a game. Create beats, switch fast between patterns and arrange compositions. You can access your music instantly and everywhere. * At Home: on your own, together with a friend or even with the whole family. * At a Party: it’s fun in any setting. Amuse your friends, make music together. * On a Trip: on board of a plane, in a car, or on a train. * On Stage: improvise during live performances, create new beats on the fly. All features announced for Loopseque Extra will be available as free updates for Loopseque on iPad. 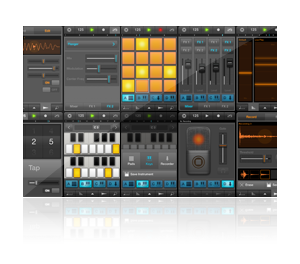 iMASCHINE will be available at the iTunes App Store for $ 4.99 / 3.99 € from October 1st.